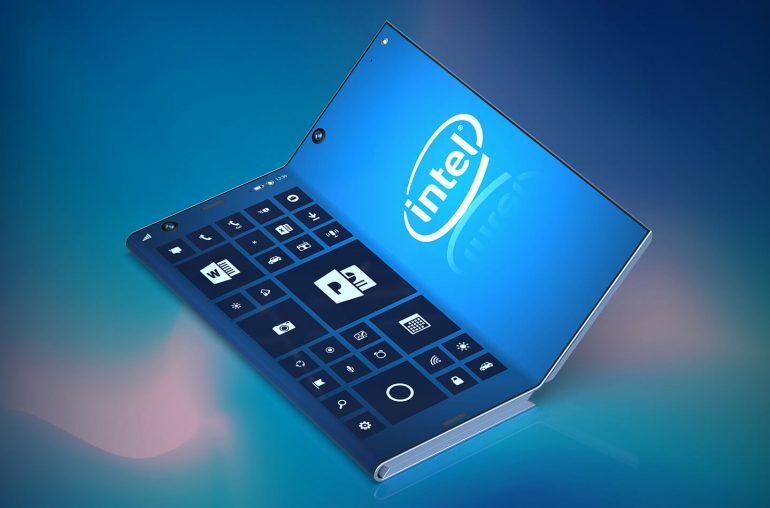 Intel patents a foldable smartphone that consists of three display parts, to create an extra-large screen surface. A stylus pen will also be integrated. Various smartphone manufacturers have a foldable phone in the works, like Samsung and Huawei. But also computer and chip manufacturers like Microsoft, Qualcomm, IBM and Intel work on foldable devices. This time LetsGoDigital reports on a patent from US computer and chip manufacturer Intel. 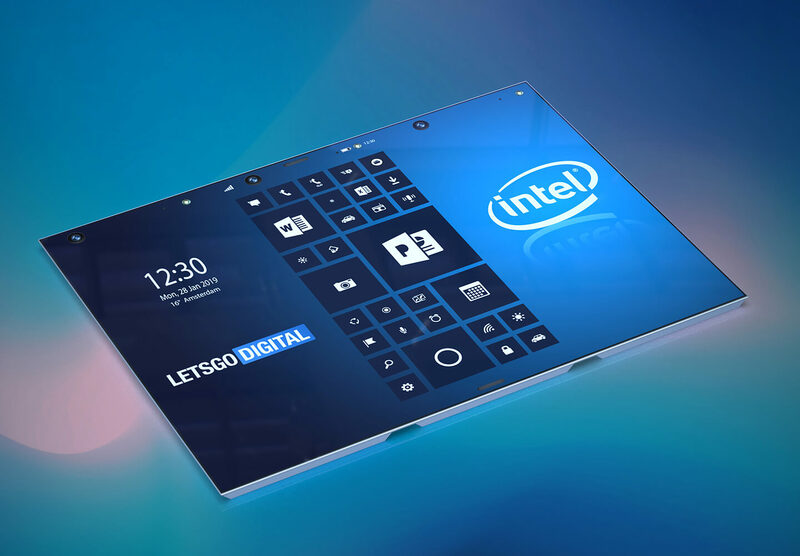 Halfway 2017 WIPO published a patent from Intel Corporation for an ‘Electronic device with foldable display panels’. It is a design patent with many images and a very brief description. 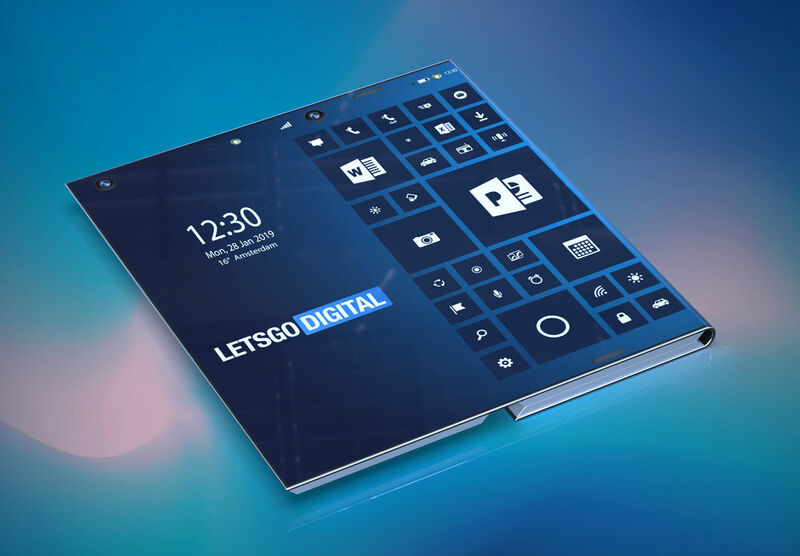 The illustrations show a versatile foldable smartphone that unfolds into a big tablet, consisting of three display areas. A stylus pen will make it convenient to operate this foldable device. When the device is fully folded, the smartphone can be operated with one hand. 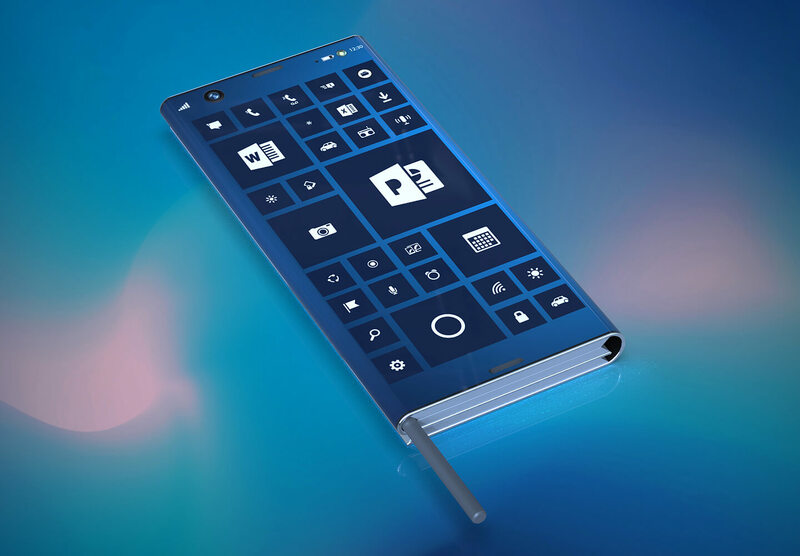 The device has no bezel, it is a full screen foldable device. Components such as the camera, but also several sensors and the receiver are all placed under the display. The phone is a bit thicker than normal, but this is logical since the Intel foldable smartphone can not fold once, but twice. 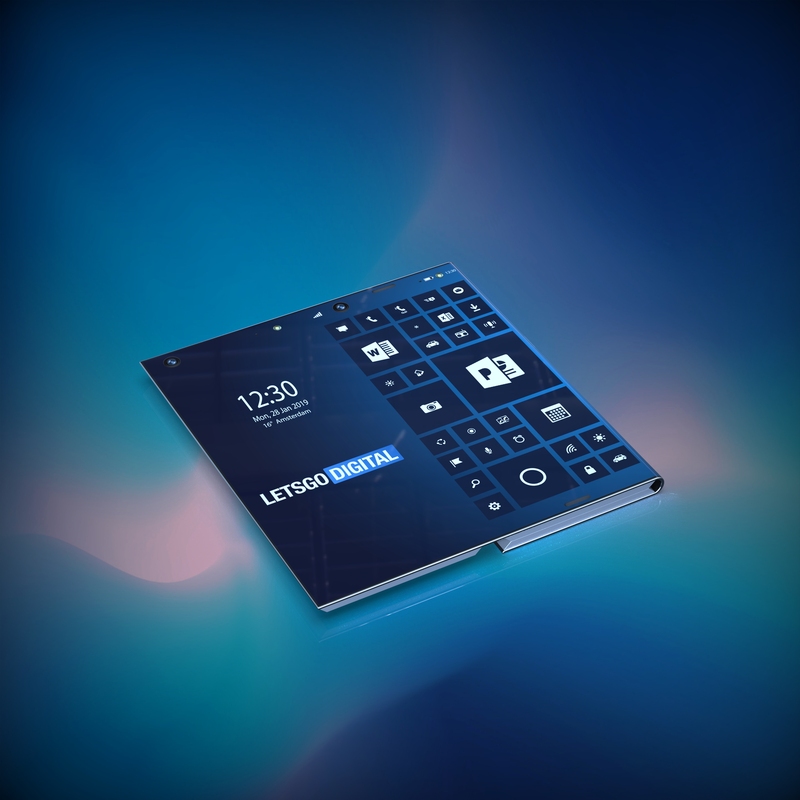 In other words, the device consists of three display parts, to create an extra-large tablet. The use of three display parts has another advantage, you can bend the screens towards each other, creating a triangle. This way you can easily and stably place the foldable phone on a table, or any other flat surface. Handy when you want to discuss a presentation, or watch a video, but also when you want to use the device as an alarm clock. 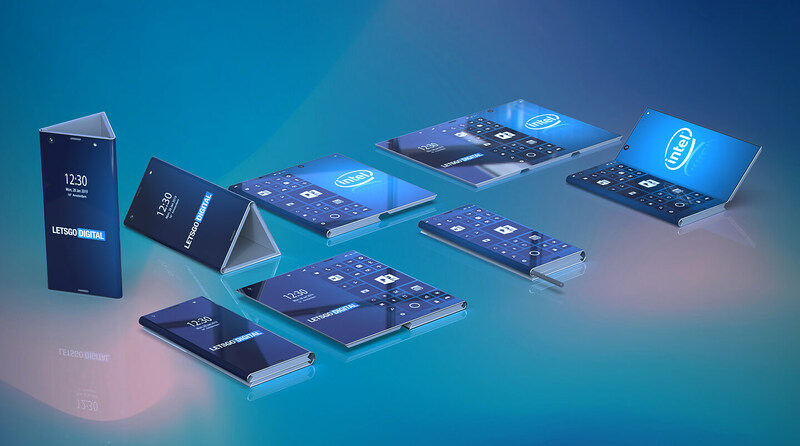 The foldable Intel smartphone is also equipped with a stylus pen. Intel has created an ingenious pocket for the pen. When the device is folded, you put the pen in the corner of the device, between the housing and the curved display. 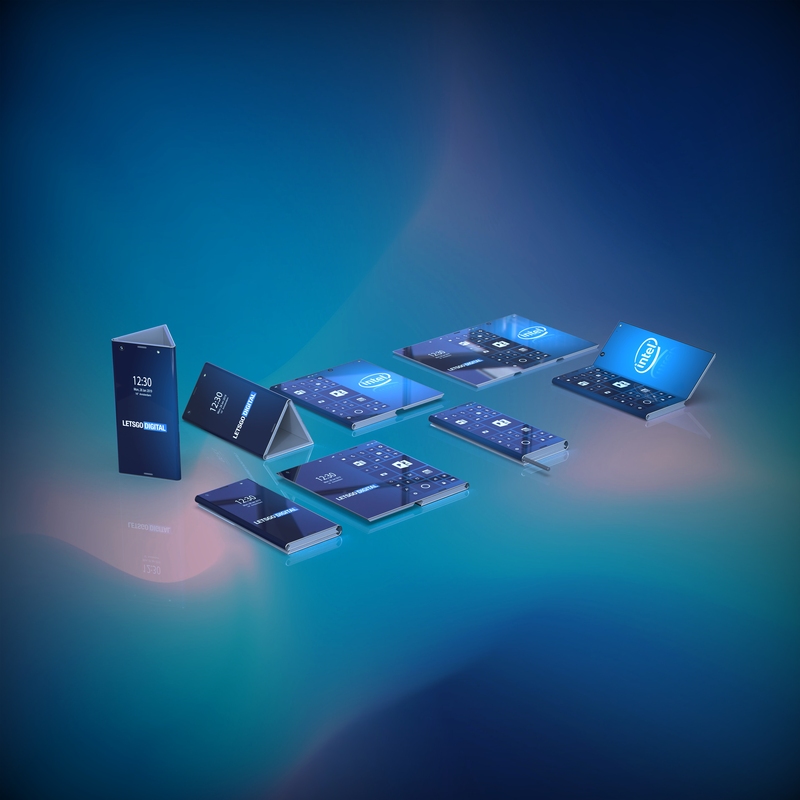 It doesn’t seem likely this advanced foldable phone / tablet will hit the market anytime soon, but it does show that companies like Intel are also investing in the foldable future. Intel already showed a prototype of a foldable smartphone and a foldable notebook last year, however, both devices had two separate displays. 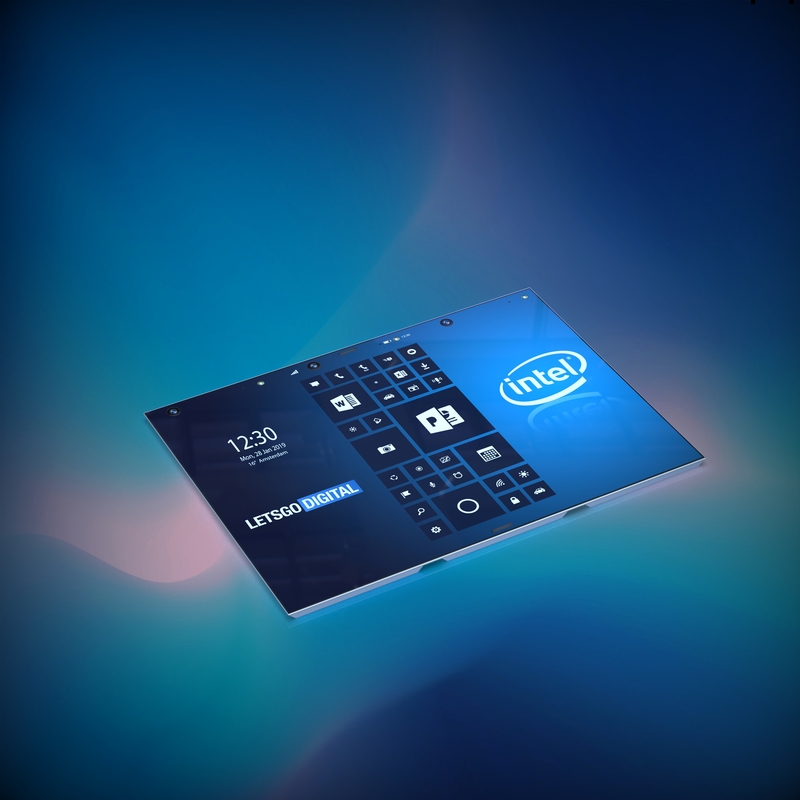 This patent shows Intel also investigates the possibilities of integrating a flexible screen. Here you can find the patent of the Intel foldable smartphone. 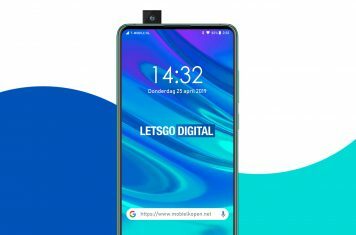 Note to editors: The 3D renders presented in this article are copyright protected and produced by LetsGoDigital, based on the design patent from Intel Corporation. The images can be used for reproduction in any online publication if you add a credit source link to our website. Producing render artwork takes a lot of time and effort, we therefore ask you to respect this rule. Thank you very much for understanding.